Product prices and availability are accurate as of 2019-04-19 07:10:40 UTC and are subject to change. Any price and availability information displayed on http://www.amazon.com/ at the time of purchase will apply to the purchase of this product. 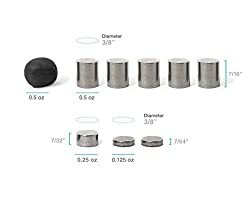 modelcars is pleased to list this Tungsten Weights for Pinewood Derby Cars 3.5 OZ - Incremental Cylinder & Putty Combo by mahja. 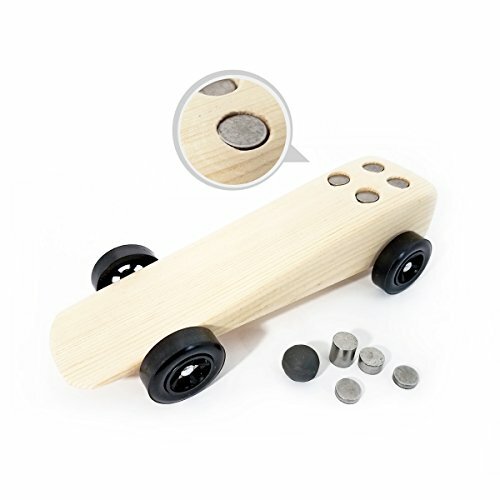 Check out this realistic Tungsten Weights for Pinewood Derby Cars 3.5 OZ - Incremental Cylinder & Putty Combo made by mahja and carried by ModelCars.us. This popular model is currently ready to ship - purchase securely and safely on modelcars today. Mark holes with pencil or pen before drilling. CAUTION: Do not drill holes too close to edge of wood, it may cause wood to crack. 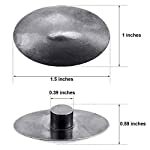 After drilling the holes, move the drill bit around slightly inside of the hole, it will allow you to remove weights easier after installation if needed. All putty will run over a long period of time; place on top of car if using as part of the derby car's permanent weight. 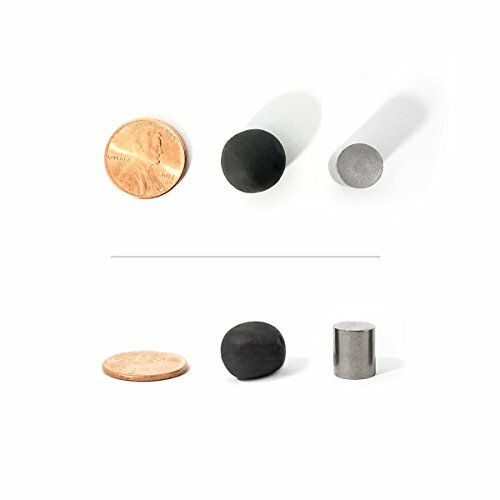 TUNGSTEN WEIGHTS ARE SUPERIOR - Tungsten weights are 1.7 TIMES DENSER THAN LEAD, comparable to the weight of gold, and completely NON-TOXIC. You will never want to go back to lead! 3.5 OUNCES of tungsten is heavy enough to meet most weight needs; even for slimmer pinewood derby racer designs. WEIGHT CYLINDERS AND TUNGSTEN PUTTY FOR A GREAT PRICE - Incremental tungsten weight cylinders and putty combination will allow you to fine tune the derby racer to the absolute max weight. You won't find both at this low price anywhere else! 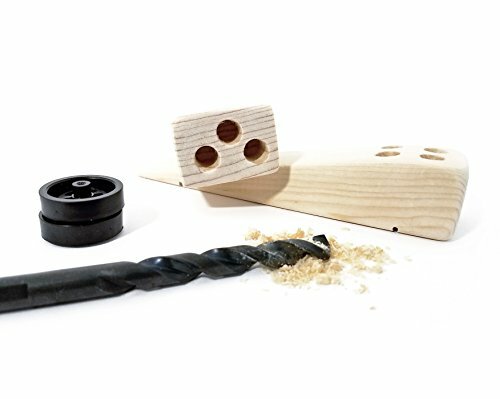 EASY TO INSTALL WITH ADULT SUPERVISION - You will need a 3/8" drill bit, drill, and glue for installation. 9 PIECES OF TUNGSTEN WEIGHTS - The weight kit contains: (5) 7/16" long cylinders weighing 0.5oz - (1) 7/32" long cylinder weighing 0.25oz - (2) 7/64" long cylinders weighing 0.125oz - (1) piece of tungsten putty weighing 0.5oz - total combined weight of 3.5oz of tungsten. All tungsten cylinders are 3/8" in diameter. 100% MONEY BACK SATISFACTION GUARANTEE! 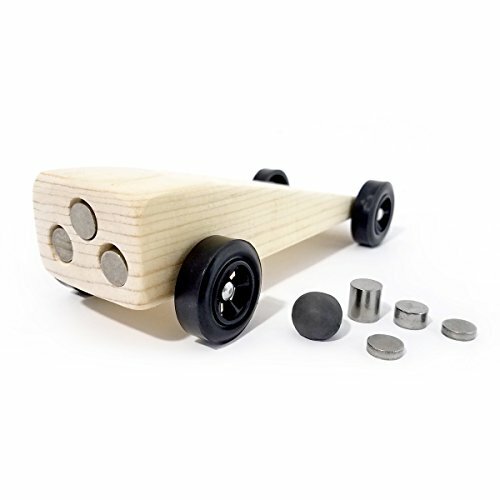 - If this weight kit does not fill your pinewood derby racing needs, you can return it within 30 days for a full refund, no questions asked!